Why choose World Champion Tae Kwon Do? Martial arts has long been a prominent figure in American cultural landscape. With all the different martial arts school available, it can be difficult to choose what is suitable for you and your family. To help, we made a quick, handy guide here for your own convenience. What is the quality of the instruction? How does the class schedule work? Before we answer these for you, let’s first take a look what Tae Kwon Do even is. Tae Kwon Do is a martial arts originating from the Korean peninsula, with roots stretching back to 3rd century CE. It exploded in popularity two decades ago when it became an official Olympic sport. It is even gaining a movement to have it join the NCAA for collegiate athletes! Because Tae Kwon Do is so widespread, there are millions of schools across the world, and every Tae Kwon Do student has the opportunity to meet and compete with anyone around the globe. Many of our members have gone on to compete in local, regional, national, and even international stages! Tae Kwon Do is unique from any martial arts in that it is mostly kicking based. 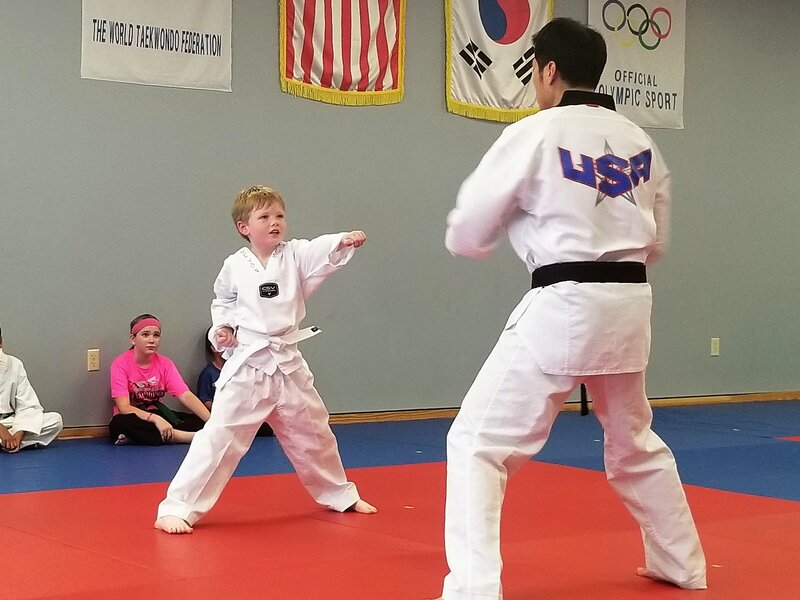 We teach several different aspects of Tae Kwon Do, including: poomsae (choreographed movements), sparring, self-defense, weapons, and demonstrations (performance). and self-esteem, to only name a few. Tae Kwon Do is a fantastic activity for anyone of all age to develop these skills. Through our carefully planned and structured classes, every student has made leaps and bounds in all the developmental aspects named above, as well as achieving their personal goals. For more detail on how we provide the benefits of Tae Kwon Do, and our responses to the questions above, check here!